Gabrielle Dennis as Tilda Johnson and Mustafa Shakir as Bushmaster in Luke Cage season two. When it was first announced that actress Gabrielle Dennis was set to join Luke Cage’s second season as Tilda Johnson, there was a brief moment where it seemed like the Netflix series might have a curious connection to Black Panther. In Marvel’s comics, Johnson’s best known as the villain Nightshade, a mad scientist whose preferred method of attack involves transforming normal, baseline humans into werewolves she’s able to control with her genetically-enhanced pheromones. While the character was initially meant to make her Marvel Cinematic Universe debut in Black Panther as Killmonger’s girlfriend (RIP), her inclusion in Luke Cage necessitated a last-minute name change so as not to have any overlap that would have confused audiences. As nifty as it would have been to see some sort of connective tissue between Wakanda and Harlem, Nightshade becoming one of the key players in the latest chapter of Luke Cage’s story is arguably for the better, because of the clever, bold changes to her backstory and identity that the writers developed to fit her into the plot. Luke Cage has never shied away from reimagining the people in Luke’s orbit in order to make them match the show’s generally more grounded, realistic tone. 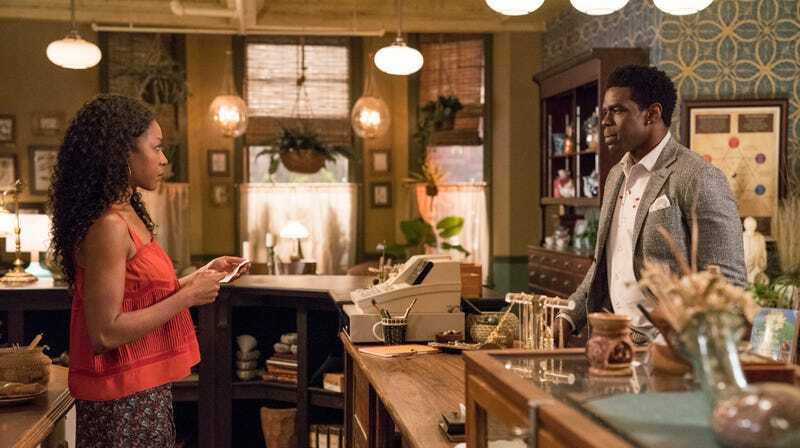 Rather than going with the whole werewolf thing—which, to be fair, would have been weirdly cool to see Netflix try and tackle—Luke Cage’s take on Nightshade instead introduces her as Mariah Dillard’s (Alfre Woodard) estranged daughter, who returns to Harlem to open a holistic medicine shop. Where there are remnants of Nightshade’s comics counterpart that translate to Luke Cage, like her intellect and medical background, most everything else about her has been radically retooled to better suit the show’s plot and honestly, the character is better off for it. In exchange for giving up her werewolf schtick, Nightshade’s storyline instead revolves around her tumultuous relationship with her mother that’s borne out of a very real and devastating trauma that understandably makes Mariah resent her daughter. The scenes between Woodard and Dennis aren’t Luke Cage’s most action-packed, but they crackle with an emotional energy that is at turns heartbreaking and horrifying. Every exchange is loaded with the weight of a strained relationship that’s been worn ragged by years of deception and white-hot rage. It’s difficult, brutal television to watch, which is to say that it’s also honest and captivating. The Stokes/Dillard family drama has always been one of the most compelling parts of Luke Cage, and the show centers it once again not just by bringing Nightshade into the fold, but also by establishing a complicated familial connection between the two of them and Bushmaster (Mustafa Shakir), another character with little resemblance to his comics self. For the purposes of the show, Luke Cage’s Bushmaster—John McIver—is the grandson of Quincy McIver (the second Bushmaster in Marvel’s comics), the one-time business partner of Mariah’s grandfather, a Stokes. In Marvel’s comics, Bushmaster is introduced as an established international crime lord in his own right who arrives in New York with designs on taking over the American branch of Maggia crime syndicate. His aims bring him face to face with a number of the city’s street level heroes like Luke, Misty, and Iron Fist in traditional comic book fashion, and while he has his fair share of epic brawls with them, ultimately he amounts to being little more than a forgettable criminal punching above his weight. In Luke Cage, greed, betrayal, and murder ultimately turn the Stokes and Dillards against one another; it results in a generations-long feud that culminates in Bushmaster setting his sights on Mariah’s criminal empire just as she’s attempting to go legit once and for all. As is the case with Nightshade, Bushmaster loses much of the more fantastical elements of his character that led to his becoming a traditional supervillain, but the chance creates a perfect place for him in Luke Cage’s Shakespearean family drama. Bushmaster’s motivations for taking on Mariah and Luke, then, are decidedly more human and relatable. The character never feels as if he’s any less fully-realized—and because of that, Luke Cage feels that much more well-thought out and purposeful in the way that it brings its heroes and villains together to clash. So often, when we talk about what we want out of live-action comic book adaptations, we get caught up in our assumption that the source material is the end-all, be-all when it comes to getting a story “right.” As these cinematic universes continue to expand, it becomes harder and harder to err on the side of faithful translations from the page to the screen, if only for the fact that these are difficult puzzle pieces to fit together in a cohesive way. 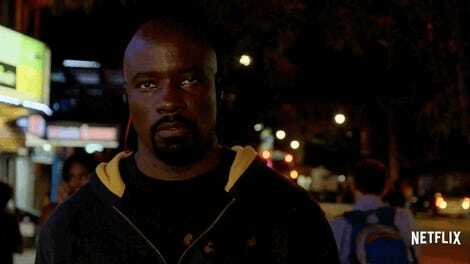 Especially when it comes to lesser-known B and C-list villains like those we see on Luke Cage. Verboten as it may sound at first, the answer is quite simple: Just change things in order to serve the story that needs to be told. The character—and the show, or movie, or whatever—will be better for it.